The sudden rise in dockside queries is a result of the increasing ease of reading one’s genetic information. In a lab at SickKids’ Peter Gilgan Centre for Research and Learning, for example, it now costs about $1,000 to sequence an individual’s entire genome – a process that takes about a week. By contrast, it took researchers about $3 billion and 15 years to create a reference genome for the Human Genome Project, published in 2003. It’s an interdiscipinary challenge U of T and its partner hospitals are in a unique position to tackle. “It was a sunny Sunday afternoon in the summer of 1983,” Mak, who is also a senior scientist at the Princess Margaret Cancer Centre, recalled in a 2011 article published by the Proceedings of the National Academy of Sciences of the United States of America. “I walked into the lab, and there was a stack about two feet high of computer sheets comparing the sequences of our T cell-specific genes to everything in the gene bank. 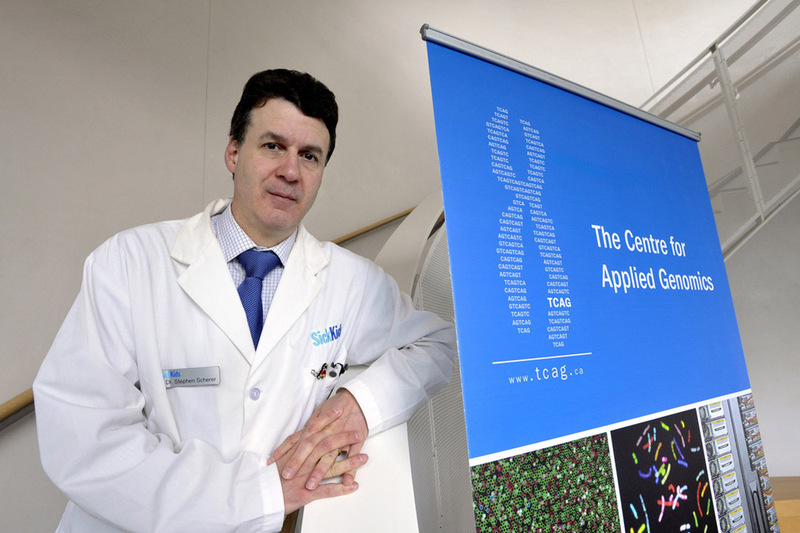 As for the idea of Toronto becoming a leader in genomic-inspired medical research, Sefton says the interdisciplinary approach taken by Medicine by Design, made possible by a $114-million grant from the federal government, the largest in U of T’s history, proves Toronto is indeed a place where it’s possible for researchers to successfully work together across institutional boundaries. This story first appeared in the Faculty of Medicine's 2018 Dean's Report. Read the report.